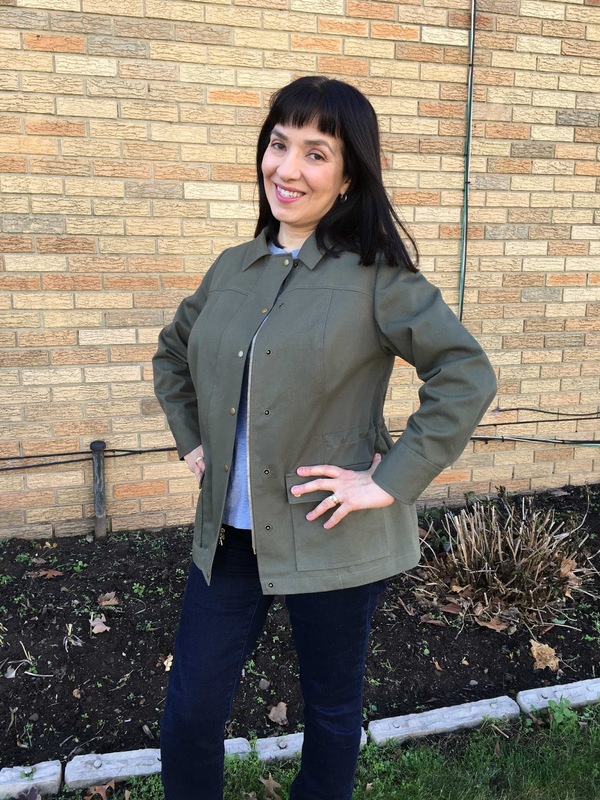 Inspired by military-look olive green jackets I see when the weather cools down, I decided to make one of my own. I used Butterick 5616 as a base and made stylistic changes to make the jacket look closer to my vision of what I wanted this jacket to be. 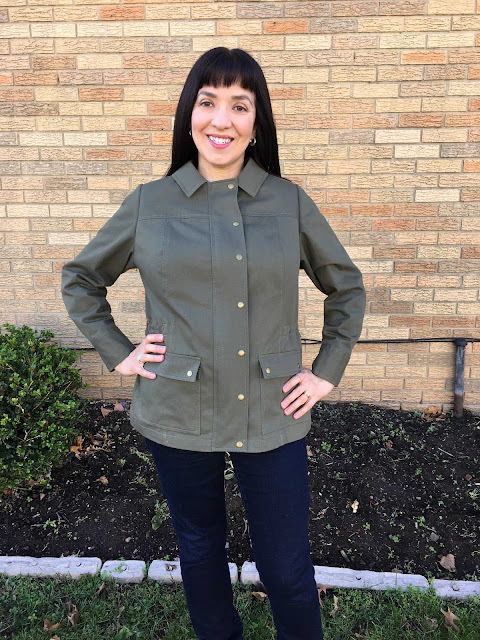 The fabric is a tightly woven medium weight cotton twill purchased from B&J Fabrics in New York City. The pattern provides 3/4 length 2 piece sleeves which I lengthened to full length. 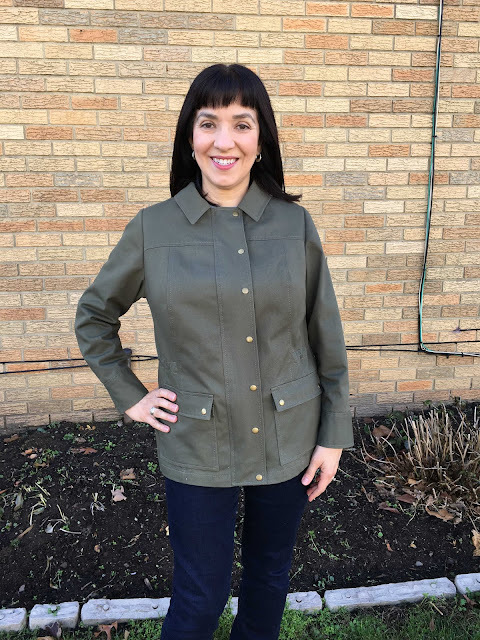 The pattern has a cut on facing you fold over a couple of times to create the placket at center front where you would add buttons and buttonholes. I instead cut off the facing and drafted a sew on facing so I could insert a separating metal zipper. 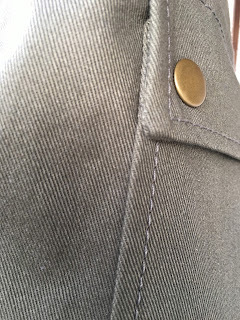 I also added an extension over the zipper, a design detail I have seen on the ready-to-wear jackets I have examined. 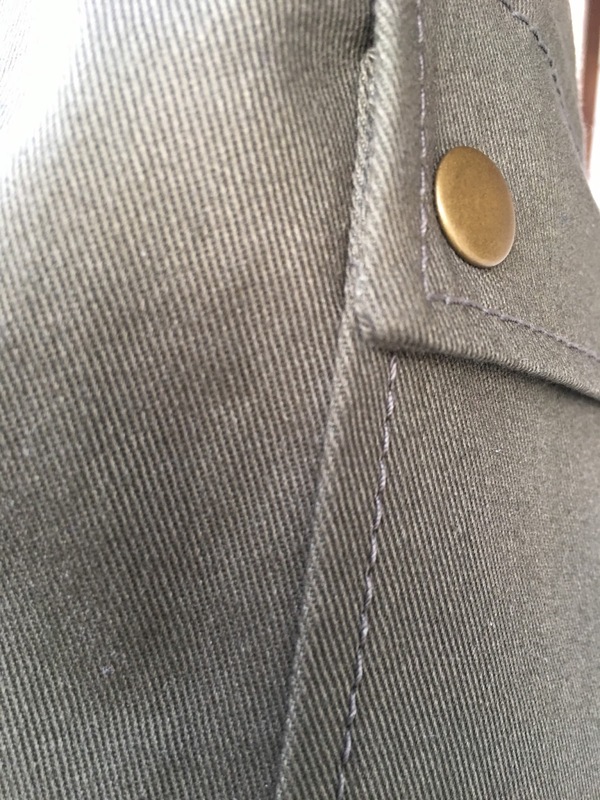 I then added snaps along the extension, cuffs and pockets using the snap tool described in my previous post. 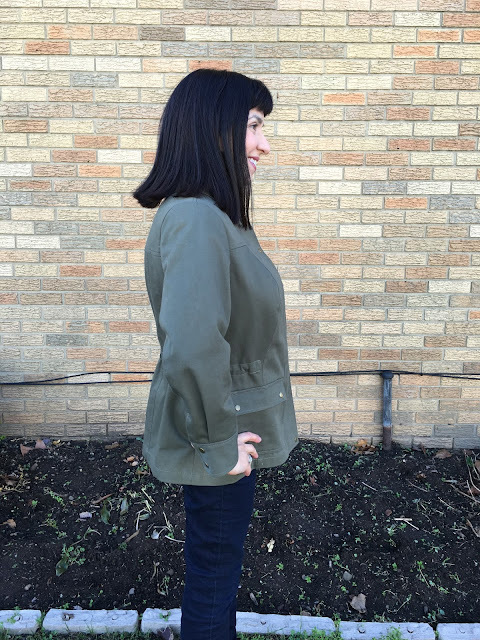 The pattern is described as a very loose fitting jacket and indeed it is. I normally would take in all of the extra ease but in this case I decided to keep it. 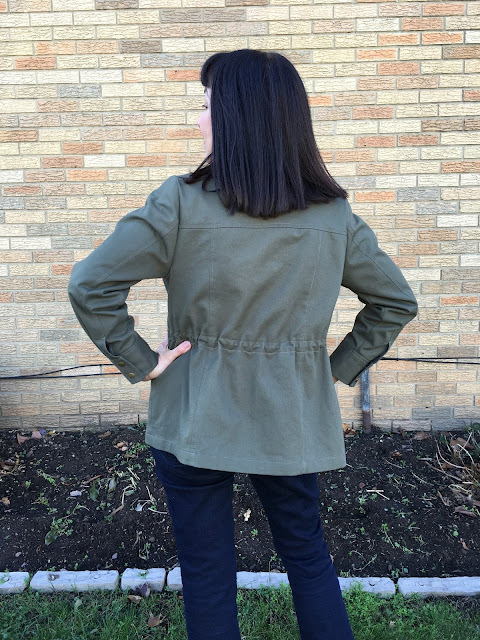 I gave the jacket shaping by adding a drawstring, another detail I have seen in the ready-to-wear jackets I have admired. For the drawstring, I drafted a drawstring casing and attached it to the inside. 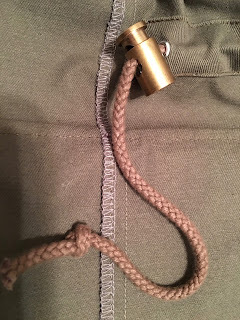 I used metal eyelets by Dritz for the drawstring opening and cordstops I purchased at Pacific Trim in New York City. I topstitched 1/4 inch away from all seam lines using Mara 30 topstitching thread by Gutterman and a 100/16 size needle with a 4.0 stitch length. To prevent the pocket edges from curling over time, I slipstitched the edges to make sure they stay flat. The princess line design of this pattern made it easy to fit. No dreaded fold wanting to become a dart - yay! The jacket is loose fitting enough that I could wear layers underneath. I've been talking to my friends for a long time about making this jacket and then when I started working on it, it took me a long time to make so it feels like this project has been around forever. I finally finished it.